Traditional sources offer many definitions for the word palaver. These show a turbulent history in the word’s vernacular—from tribal “palaver huts” where Portuguese traders negotiated with African tribesmen in a dialogue between native and invader, to the colloquial hijack: a “fuss or commotion”—palaver comes to us with some proverbial baggage. Palaver is UNCW’s online interdisciplinary journal housed in the Graduate Liberal Studies program. At Palaver, we challenge and embrace the vintage definition of “an often prolonged parley usually between persons of different levels of culture and sophistication.” A palaver encourages a dialogue of multiple perspectives. We showcase the distinct intellectual pursuits of contributors while merging those diverse academic endeavors into a forum that will give rise to a new dialogue. Palaver seeks submissions that defy the confines of a single discipline and explore multiple disciplinary influences. We publish creative and academic work that values the nonrestrictive and looks beyond the paradigms of the discipline to converge versatility, skill, and ingenuity in the service of its subject. Palaver is a venue for this innovative work, promoting the visionary talents of contributors across an array of interests. We encourage palaver within your work. Palaver is sponsored by the University of North Carolina Wilmington’s Graduate Liberal Studies Program. 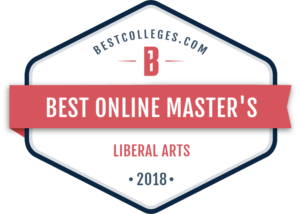 UNCW Master of Arts in Liberal Studies Program has been ranked 7th out of 15 programs on the BestColleges.com list of Best Online Master’s in Liberal Arts 2018. Since 1995, UNCW’s Onslow Extension Site has provided access for non-traditional students—active and retired military, military families, students that may work full time, single parents, and others—to earn graduate degrees without commuting to Wilmington. Students enrolled at the main campus may also enroll in a fully online Master’s program in Liberal Studies. 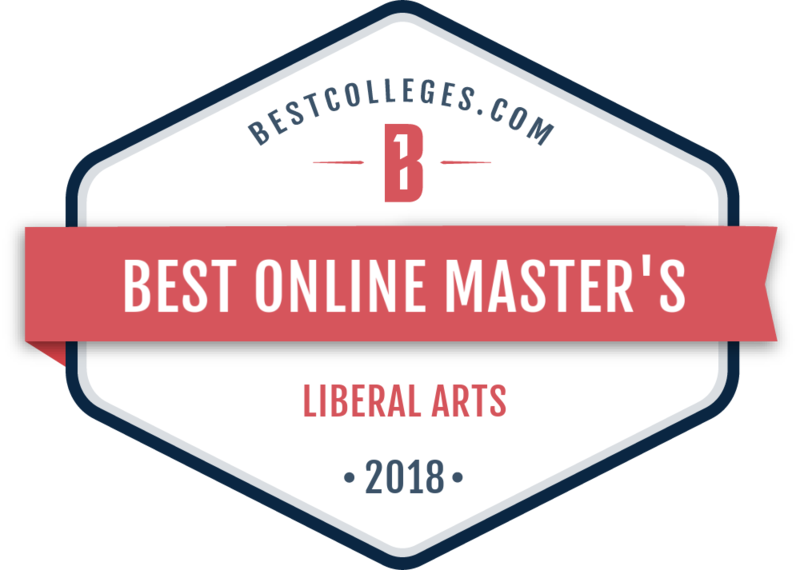 The UNCW Graduate Liberal Studies program has been recognized for its online program, ranking 2nd in the nation by Master’s Programs Guide for 2018! 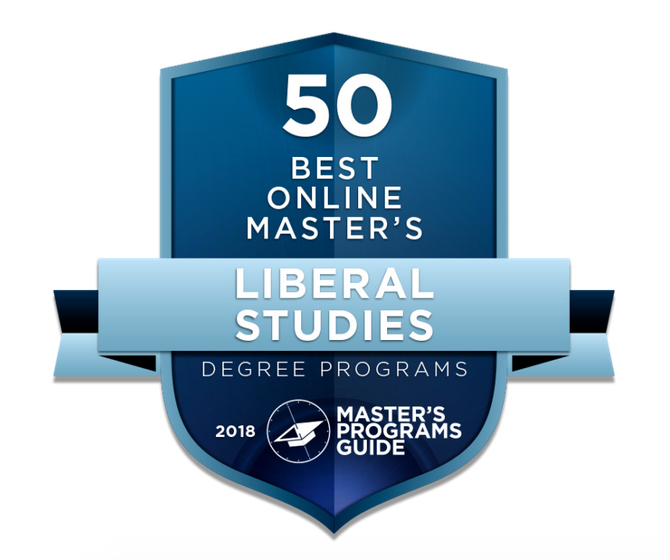 Fifty accredited programs that offer online master’s degrees in liberal studies, interdisciplinary studies, or related fields were ranked based on affordability as well as rankings in institution reputation and the variety of options in the Liberal Studies focus, resulting in GLS making the #2 ranking. Click here to read the full article. Click here for information on UNCW’s Graduate Liberal Studies program.